LPG duel fuel - yes i sell them in Canada! Hello, I have been wondering for some time about switching to LP. A few years ago it seemed a bit steep, but am hoping that maybe costs have come down. I have 2 Disco IIs so maybe it might be a little cheaper and easier to do 2. I can learn from the mistakes on the first one. Hope someone might have info about LP in the Boston area. I am very interested in this also....I don't know how accurate that earlier post about not being EPA approved is, I think some things have changed! I am still trying to also find out some more as far as my state is concerned on these conversions! Here is a good source I think...looks like they have good support and knowledge on the Land Rover V8's! Its a shame, we are behind Europe on this....they have been doing this for a few years already! BTW, 95% of the world's supply of LPG comes from the US! I'm convinced on the kit....I need to find out about the rest as far as legalities! I am new here! Also new to RR. I sought out this site as a source for some information on the topic of this thread. I have a 96 P38 HSE in mind that I want to buy. It has been well maintained from everything I have read as far as a buying guide goes. I am taking a local indy mech. with me tomorrow to give it the thorough check before I pull the trigger on my first RR. I have been wanting one for a while and the purpose I have in mind is just to have a 4X for inclimate weather and the occasional camp/trail ride with my son (just now 18 months old). 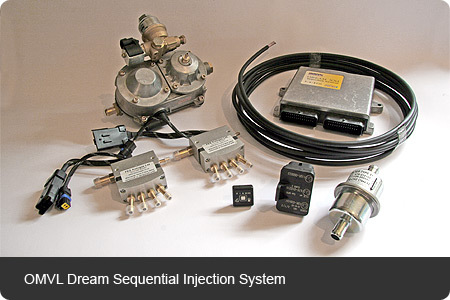 This will not be an everyday driver but I definitely want to do a sequential bi-fuel conversion for LP gas. I have searched around to find install techs, kit info, filling stations, and even looked into a home fuel station but I cannot find any single source for this path that is here in the States. This site seems chock full of knowledgeable LR/RR enthusiasts so hopefully there will be a thread (yes I have searched) someone can point me to or a link someone can provide. I may not buy the P38 I have in mind right now but I will get one and I do want to run LP. Thanks in advance guys, and remember, I'm a noob. Hi, well...I googled LPG and RR and came up with one website that I posted above 4 u to click on, I found that out of 4 or 5 dealing with the Land Rover V8's that this had the most information and offered a kit for every Land Rover...from the Series to the most recent Range Rover! You will have to source the under hood kit from UK/Europe because I could not find anybody in the states....then the bulkier tank you can buy anywhere in the US! 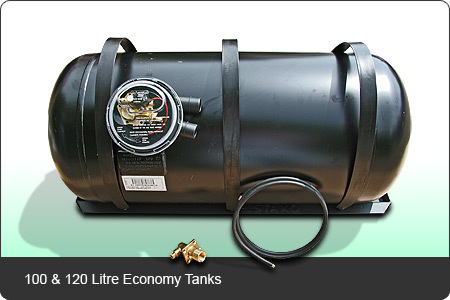 Not to say that you could not rig a LPG system into a land rover here...its just that they (UK) have been doing it longer and have custom taylored a kit for the Land Rover's, besides it not the much on shipping... the tank is, but you can buy that here in states! BTW, there is an unbelievably mint and expensive P38 (2001) on Ebay right now out of Atlanta with only 45,000 miles! cool thnks. I will check it all out, esp. the atlanta P38. I love your quote. I'm still laughing more than an hour later. Thank you.